Published Jun 30, 2011 by Peachpit Press. Part of the Learn by Video series. 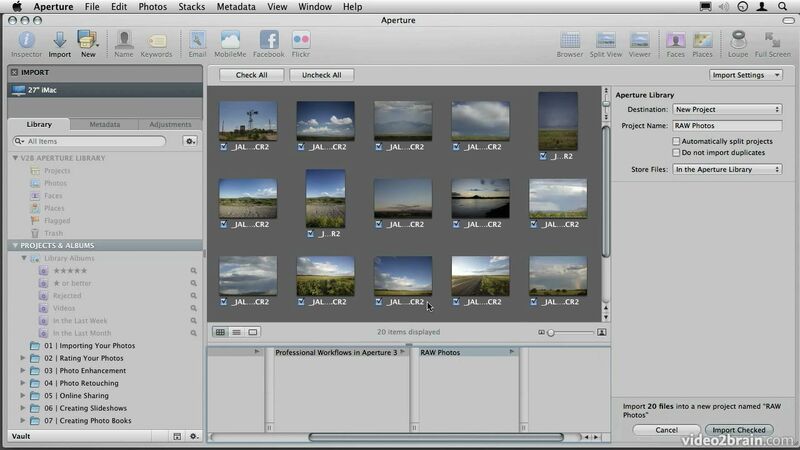 This innovative product uses interactive video to introduce viewers to pro-level techniques in Aperture 3, including advanced photo management practices that are easy to maintain and ensure that viewers can find 'that photo' for years to come. The video demonstrates efficient methods of separating the best shots from the rest, then shows basic image enhancement and retouching techniques, including correcting exposure, applying color corrections and enhancements, and batch retouching, all in record time. Finally, this product shows the quickest ways to get shots online and in print. 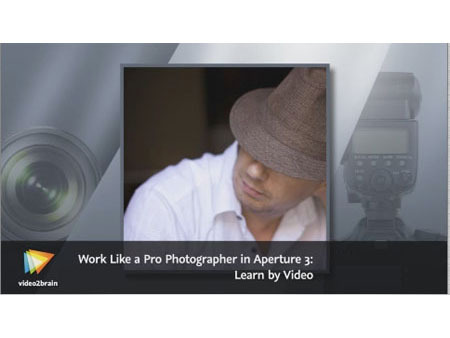 Experienced instructor Joseph Linaschke presents up to 4 hours of exceptional quality video tutorials, complete with lesson files, assessment quizzes, and review materials. The video is wrapped in a unique interface that allows the viewer to jump to any topic and also bookmark individual sections for later review. The unique Watch-and-Work mode shrinks the video into a small window to allow the student to work alongside the video. Project files used in the lessons are included on the disc so viewers can practice what they've learned, and interactive review questions help reinforce freshly gained knowledge.